Get ready for Fall and practice your inverse applique skills (or gain them) with this quick project. Use up old scraps or give yourself a reason to by some new fabric (not that we need reasons). "Fabric coasters don’t get any easier than this applique pumpkin coasters tutorial! 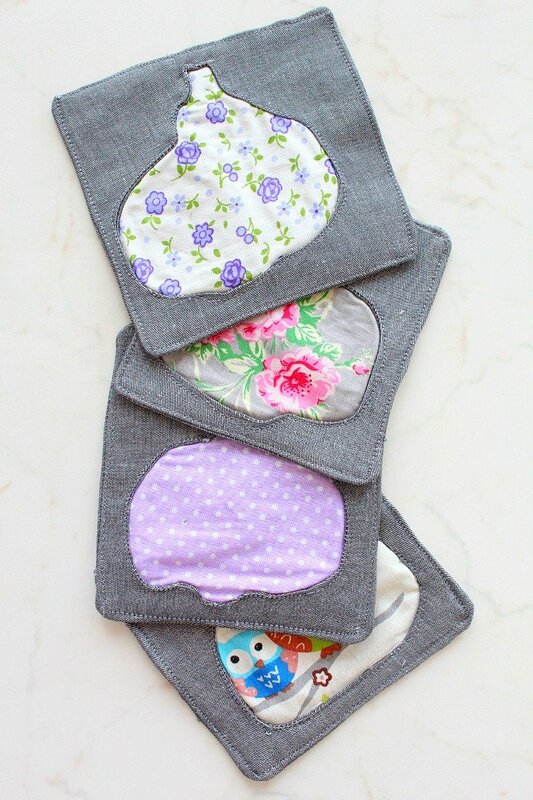 These coasters are pretty practical and an awesome way to put your fabric scraps to good use while learning a new technique like the inverse applique."